I’m all for a good, plain straight tea. I grew up on orange pekoe, so having a good plain tea makes me nostalgic. Sometimes it’s just better to have a nice plain cup of tea that isn’t full of frills and thrills in the flavouring. 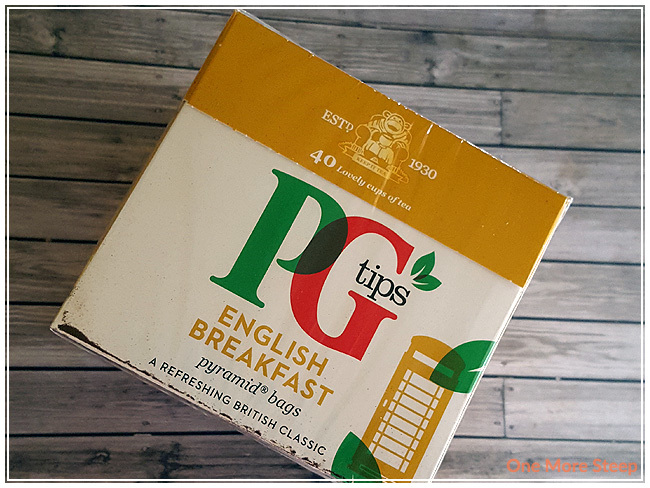 There’s a tea for every occasion, and the last several mornings I’ve been having PG tip’s English Breakfast. there are 40 pyramid sachets in this 100g box, which works out to be 2.5g of tea per pyramid, a decent amount. The tea itself smells a bit malty. The material of the sachets feels papery, I would say likely compostable although the packaging doesn’t indicate as such. While the sachets aren’t translucent, I can tell that the tea in the pyramids aren’t large pieces at all, there’s quite a bit of dust that is loose in the box. The ingredients are simply listed as being black tea. 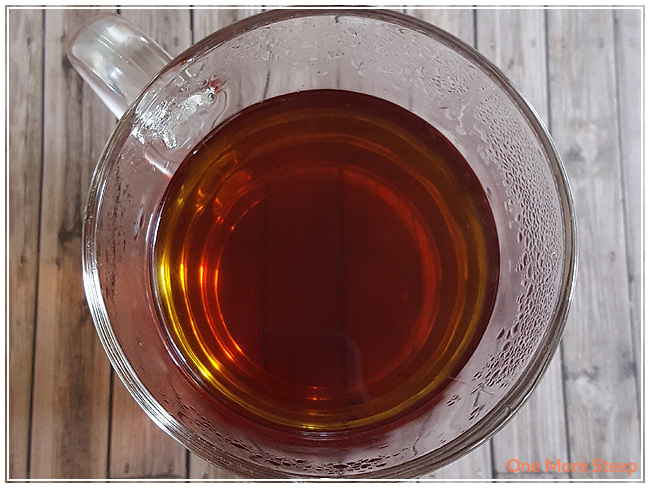 English Breakfast is traditionally a blend of black teas (Assam, Ceylon, and Kenyan), although the packaging for this English Breakfast tea doesn’t boast as such. 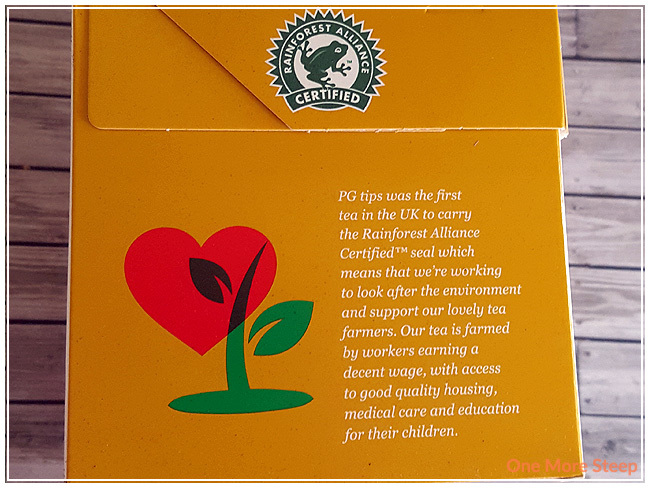 What the packaging of PG tip’s English Breakfast does boast is the fact that they are Rainforest Alliance Certified, and that the tea farmers are paid a living wage and have access to things that you and I may take for granted, living in a country like Canada. Not everyone has access to education, medical care, and safe housing so it’s nice to see that the company is conscientious of things like that for their tea suppliers. 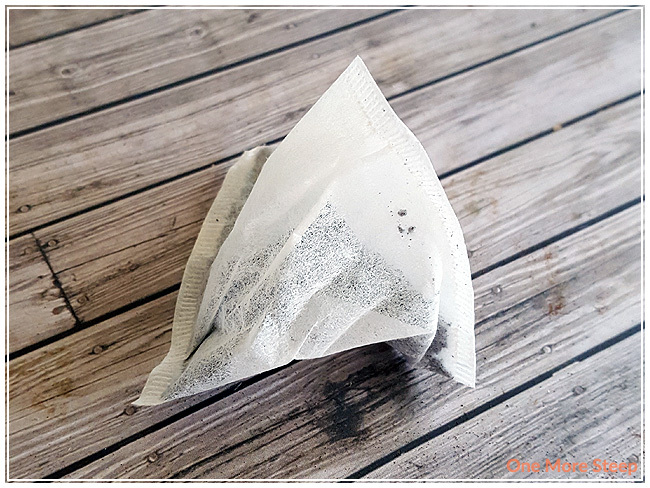 PG tips’ recommends steeping in “freshly boiled water” for 1-2 minutes. I’ve varied the amount of time I’ve steeped this tea for the last several mornings, opting to change it up and I find that 4 minutes is about the longest I would go before it gets to be quite bitter. The ‘sweet spot’ for me would be about 2½ minutes. English Breakfast steeps to a beautiful deep red and smells like toffee candies. I’ve got quite the sweet tooth, so having a tea remind me of candy is a good thing. However, it doesn’t taste quite like toffees at all, it has some maltiness to the flavour with a very mild astringency at the end of every sip. There’s a bit of a woody flavour to it that I find interesting, but not off-putting to say the least. I don’t really like English Breakfast plain though, and even PG tips recommends it with a splash of milk. 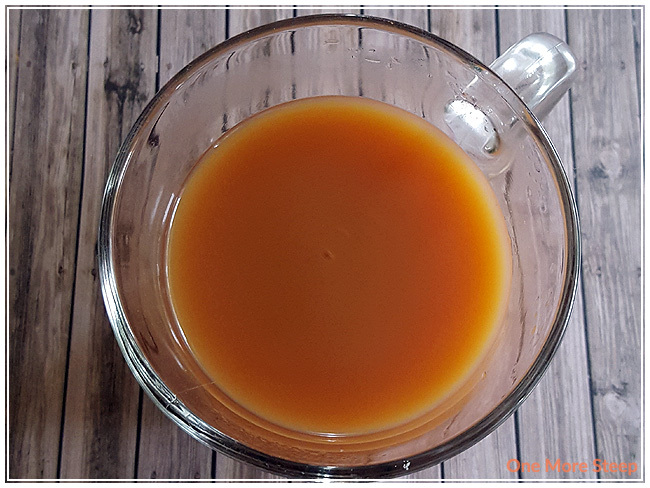 I added honey and evaporated milk to mine and it tastes wonderful. I really enjoy it doctored up a bit and find it much more palatable when sweetener and dairy added to it, it cuts the astringency down a lot. While the astringency didn’t bother me, having the astringency toned down makes the tea even better, in my opinion. I attempted to resteep English Breakfast and it wasn’t very good at all – it made for a very sad and watery cup of tea that I didn’t even want to drink. I liked PG tip’s English Breakfast. I’m always a fan of having a nice, affordable tea in my tea stash. Having a solid, plain black tea fits into my tea stash quite nicely for when I’m in the mood for something easy on the tongue. My biggest problem with the English Breakfast is my ability to find it in Canada, at least the PG tips brand. I will have to see about trying other versions of English Breakfast if I want an easier to find version of it. Overall, I find English Breakfast to meet my needs of having a simple morning tea. It is caffeinated, so it’s not something I would drink throughout the day, but I find it to be enjoyable and I would definitely suggest to follow the recommendations of adding milk to it.